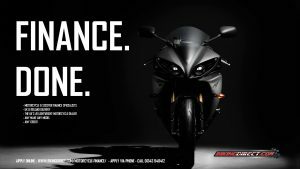 Welcome to the BikingDirect.com Payment club! This is as close to Guaranteed Finance as you can get without incurring astronomical APR and fee’s. Do you want a method to pay up your bike/scooter with 100% Guaranteed Acceptance, No Creadit Check, No Personal Questions, NO interest and NO Bank charges for missed payments? and how about paying only What You Can Afford, When You Can Afford It? If this sounds of interest to you then you are in the right place. We try to accommodate all our customers and we realise that not everyone wants to have a long drawn out contract to pay for their bike/scooter, so we have came up with the Payment Club. So far the club has proven very successful especially with customers who’s credit score isnt the best and who have been turned down for finance in the past. Dont get us wrong, its not just for the poor credit customer, its also for the savy saver and ‘plan aheader’. Get your bike/scooter once its paid in full. Make your choice WHENEVER YOU want. 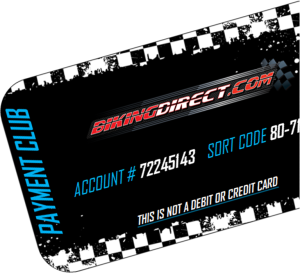 This opens your account and you will receive BikingDirect.com Payment Club Card with Account Number & Sort code of where to make the payments! Visit any post office or bank, or transfer funds online to make a payment, whenever you like. Simple eh? Using this ‘Guaranteed Finance‘ method you are sure to have the latest model of scooter / motorcycle as you can choose your vehicle once you have paid enough. 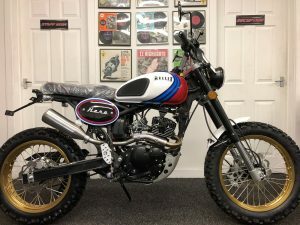 So you can have any of the bikes / scooters that we offer, and you can have it as soon as you finish making the payments. You are in control, and you will never get a bank charge for a missed payment. We do ask that bikes or scooters are paid within 18 months max but this can be extended if agreed in advance. We take your details and every time you make a payment we update your account and email you an up to date invoice of what your balance is. Once you get close to your target we will start preparing the Bike/Scooter for you so that it can get delivered to you as soon as its ready! The scooter I like is £1700. If I paid £1400 straight away, would there be a way to pay the outstanding balance. I have a poor credit rating, so wondered how to get around this.